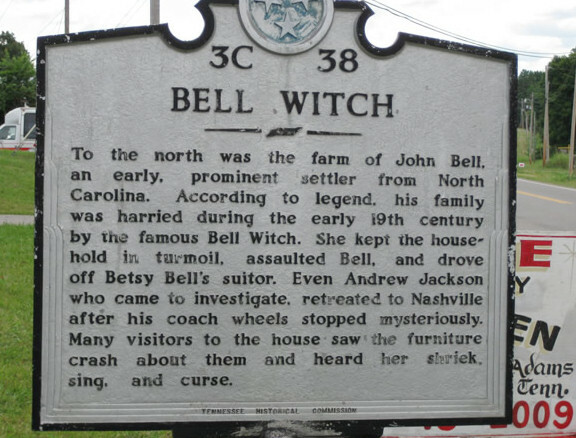 One of the most notorious American ghost stories of all time is the story about the Bell Witch. The Bell Witch wasn’t a witch, but was a ghost or possibly a demon. Tennesseans also sometimes refer to her as “Ol’ Kate.” The entity plagued the home of John Bell, a Clarksville, Tennessee cotton plantation owner of the early Nineteenth Century. 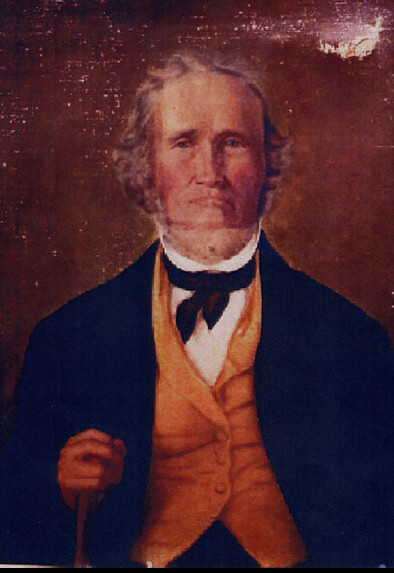 John and his wife had moved to Robertson County, Tennessee from North Carolina. Kate Batts, the woman whom John Bell had purchased his farm from, claimed, to any and all who would listen, that Bell had cheated her. But no one paid her any mind and dismissed her accusations as mere senile ramblings. As a result, Kate swore that she’d get even with John, even if she had to return from the grave to do so. But no one knows whether the entity that stalked and terrorized the Bells for years was Kate. Personally, I’m more inclined to believe that it was a demon–but Kate may have sent it via a spell. Though the problems started around the time of Kate’s death in 1817, that could be mere coincidence. It all began when John Bell was inspecting his rows of corn one day. He saw a bird that alarmed him, for the creature had a face with human-like features. As the bird sat on the fence post, staring at him, John shot at it, but missed. Unharmed, it flew away. Several days later, John encountered a snarling dog-like creature in the cornfield. Once again he took careful aim and shot at it, but this time the creature vanished before his eyes. The nine Bell children began seeing odd things as well. 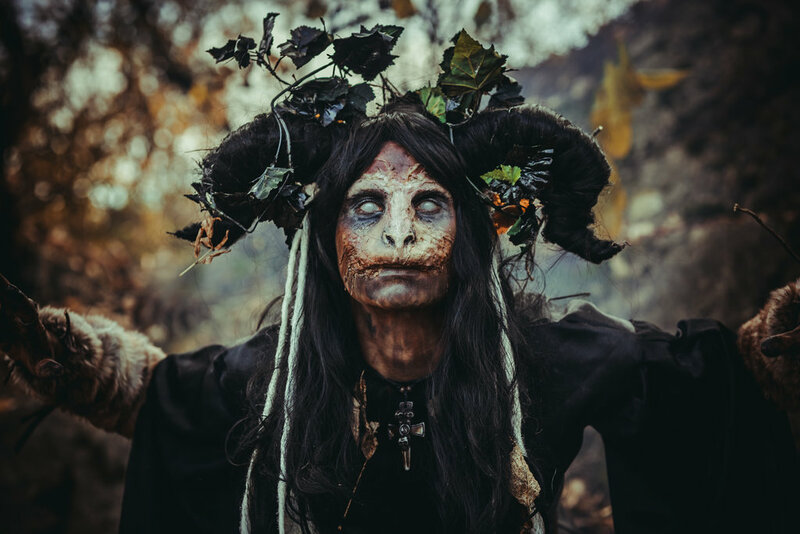 They reported sightings of creatures in the woods surrounding the farm and of a mysterious, old woman who wandered through the orchard. Then came the scratching and knocking sounds as if an animal was trying to burrow through the wall and get inside the house. Yet, when the Bells searched for the animal, they found nothing. Apparently the creature found some means of entry, for the noises moved indoors, and often the family heard the loud sound of wings flapping against the ceiling and dogs snarling and growling. These occurrences sound more like a demonic manifestation rather than a typical haunting. The old saying is that you should never answer the door after three knocks, least you invite the Devil into your house. Could the Bell’s have unwittingly broken this rule? When word of the haunting got around, no one understood why such a foul entity would pester such a devout family. Among those who wanted to aid the family in the crisis was General Andrew Jackson, who had masterminded the stirring victory at the Battle of New Orleans in 1812 and later became the seventh president of the United States. When he heard that an entity was tormenting the Bell family, he decided to pay John, his long-time friend, a visit. The trouble began as soon as his army wagon drew near the Bell property, for his horses stood dead in their tracks, refusing to budge an inch even when the driver shouted and ferociously whipped them. The horses reportedly strained and pulled, attempting to move forward, but to no avail. It was as if some invisible force held them at bay. When a voice echoed from somewhere in the darkness, “Go on, old General,” the horses suddenly moved again. 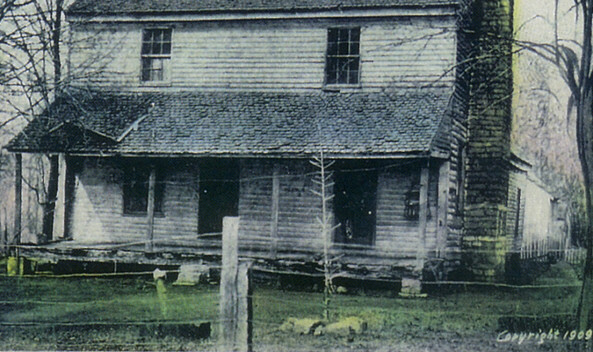 This convinced Jackson that there truly was a terrible entity residing on the Bell property. Despite the witch’s antics, Jackson’s determination to learn more about the entity didn’t falter, and he and his entourage spent the night at the Bell home. They were not disappointed. Betsy Bell screamed all night from the pinching and slapping she received from the witch, and through the night, Jackson’s covers were ripped off as quickly as he could put them back on. His entire party had similar experiences, being slapped, pinched, and poked by the ghost all through the night. Unsurprisingly, by the time morning arrived, Jackson and his men were ready to hightail it out of there. Shortly after Jackson departed, the supernatural activity in the Bell house intensified. The commotion rapidly worsened, and the knocking and rapping was incessant, so violent that it broke windows and shook walls. The roof of the place was pelted with what sounded like stones, but the projectiles were invisible. The family even heard heavy, invisible chains being dragged across the wooden floors. Even worse were the attacks on the children who were chased from their beds by the fearful noise of scratching and gnawing. One night Richard Bell’s hair was harshly grabbed by an invisible hand and yanked so harshly that the boy was pulled from the comfort of his bed. This mode of attack became common in the Bell household, and little Betsy was often the victim. When neighbor Jim Jones, a self-proclaimed exorcist, heard about the haunting, he too went to the Bell Manor to see if he could help. After he performed an exorcism, the nightmare stopped for a little while, but, all too soon, the spirit returned with a vengeance. Again, it targeted the children…seeming to focus on Betsy… pulling little Betsy’s hair and slapping her cheeks until they bled. Desperate, John and his wife decided to send the girl to a neighbor’s home to spend the night, but the spirit followed her and continued the attack. Soon, the girl’s health suffered from the abuse. As the months passed, she grew weaker and weaker, having fainting spells and difficulty breathing, the common affects of anxiety. It was around this time that the spirit started speaking, making its voice heard to all the members of the family in clear and understandable words. Maybe the entity had learned the language in the months it had haunted the family or maybe it had somehow summoned more power. The spirit’s desire to speak became more profound as the the days passed, and it began to recite verses from the bible, or it would utter ghastly threats. Often, it would laugh maniacally over it’s many devious actions. Skeptics believed that 12-year-old Betsy was responsible for the haunting, claiming that she was using sleight of hand, ventriloquism, and other tricks in order to attract attention. But this theory was quickly ruled out when a doctor came to stay overnight at the house. When the ghost starting spewing its horrible curses, he tightly covered Betsy’s mouth…while the witch continued to cackle and taunt him. Betsy wasn’t even in the room the night that William Porter, another neighbor who tried to help the family, stayed overnight. As porter lay sleeping, the covers were ripped from his body and wrapped into a ball. The man bolted upright, grabbing the ball of quilting, which he intended to toss into the fireplace, but the blanket was unusually heavy when he lifted it. While he stood there wondering what to do, a foul odor permeated the air, which became so strong that he was forced to flee the room. When he returned a few minutes later, the room was back to normal, and the ghost was gone. Another neighbor, Frank Miles, a rather large, stout fellow, also wanted to help. He came to the Bell house with the full intention of volunteering to crush the Witch with his powerful grip. As he spent the night at the Bell home, waiting for the opportunity to give the ghost the thrashing it deserved, the sheets were yanked off him. He quickly learned that he was no match for the strength of the spirit that struck him in the face and on the head. Later, he claimed that they were some of the most powerful blows that he had ever taken. Even the Bell’s slaves got a taste of the ghost’s wickedness. It would periodically flog them. Amazingly, the spirit, however, wasn’t always wicked to everyone. The ghost actually appeared to like Mrs. Bell and would sometimes sing to her or do household chores to help her out. It seemed like the spirit’s attack on Betsy and John remained the ghost’s primary focus. It’s thought that the ghost was jealous of Betsy and wanted to ruin her life. Soon Betsy grew into a beautiful young woman and fell madly in love with a fine young schoolteacher, Joshua Gardner. And though this match had pleased both families when the engagement was announced, the witch was unhappy about the turn of events. It promised Betsy that if she married Josh Gardner, she’d never know a moment’s peace and would be pinched and slapped until she bled. Terrified, Betsy broke-off the engagement. It seemed that the witch was also determined to destroy John. John Bell’s tongue would often become so thick and swollen that he couldn’t eat or talk for hours at a time, and he developed an uncontrollable facial twitch, that was sometimes so severe that he’d be forced to stay in bed for days. In his last days, as he tried to gain some strength by walking around his yard, the witch waged an attack on him, knocking his shoes off and knocking him to the ground. His son, John Jr., would tie his shoes as tightly as possible, but that failed to deter the Witch. In a fit of rage, it beat John Jr. so terribly that he required a doctor. The doctor prescribed a potion and left, and while John Jr. took to his bed, John Sr. became violently ill. When the doctor returned, he called for the medicine bottle that he’d left for John Jr., but it was missing, and in its place was a thick, dark liquid that would defy analysis. As the Bell’s studied the liquid, the witch laughed frantically and said that it had placed it there. The next morning, as the witch had predicted, John was dead. But the ghost wouldn’t leave well enough alone. It even cursed and sang profane songs during John’s funeral. Strangely, however, after John was dead and Betsy’s future happiness ruined, the activity slowed down. And soon, the witch announced to the family that it intended to leave, but vowed to return in seven years. As promised, the witch left but returned in 1828, making a racket like before. This time, however, its visit was uneventful, maybe because only Lucy and two of her sons remained in the house. 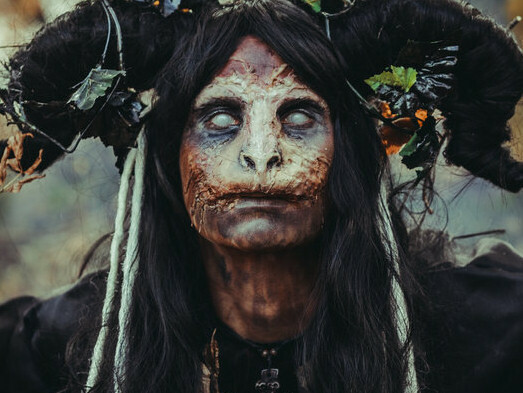 The witch, however, wasn’t yet finished with the Bell family, and it promised to return in 107 years, sometime in 1935, to pester the Bell descendants. Whether that promise was kept, no one knows. Visitors to the property, however, claim that they can still feel a foul presence. I can only say that I pity you if your last name is Bell. There could be a nasty ghost or demon out there looking for you. My advice would be to stay away from Tennessee. WONDERFUL Post.thanks for share. I look forward to more.